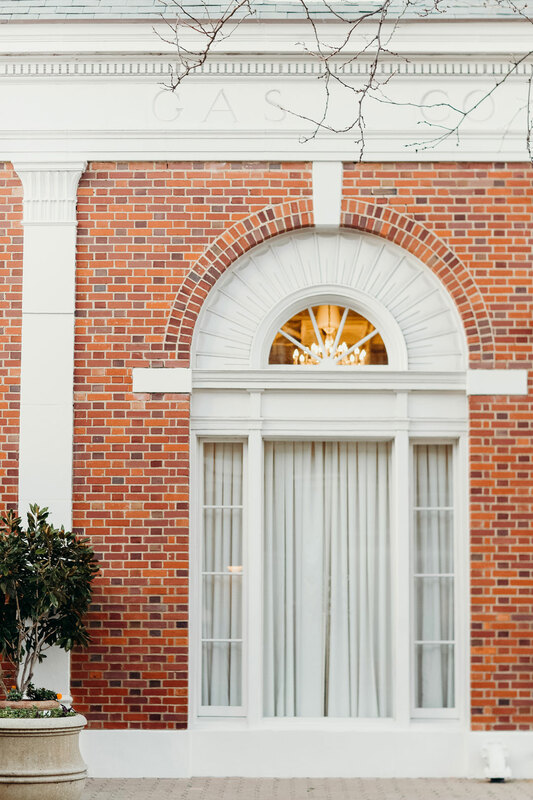 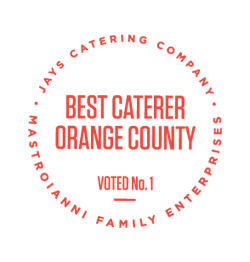 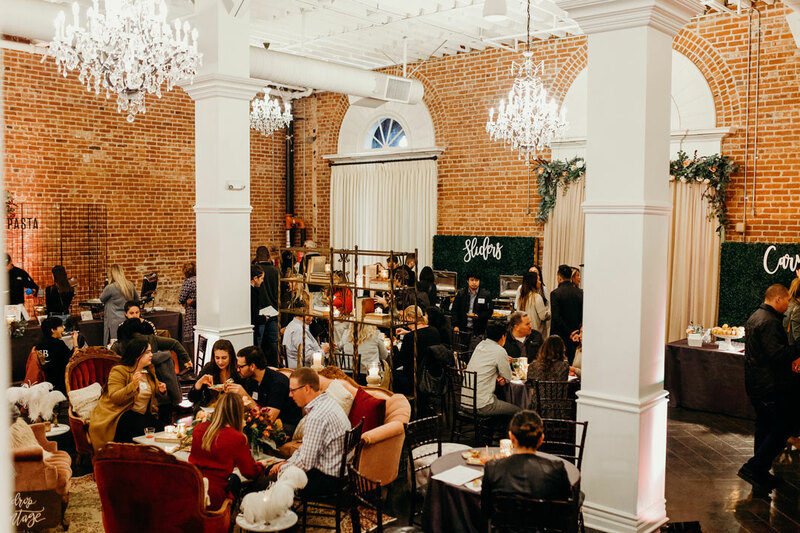 We opened The Estate doors in the beginning of March to newly engaged couples and corporate clients to experience a Taste of Jay’s. 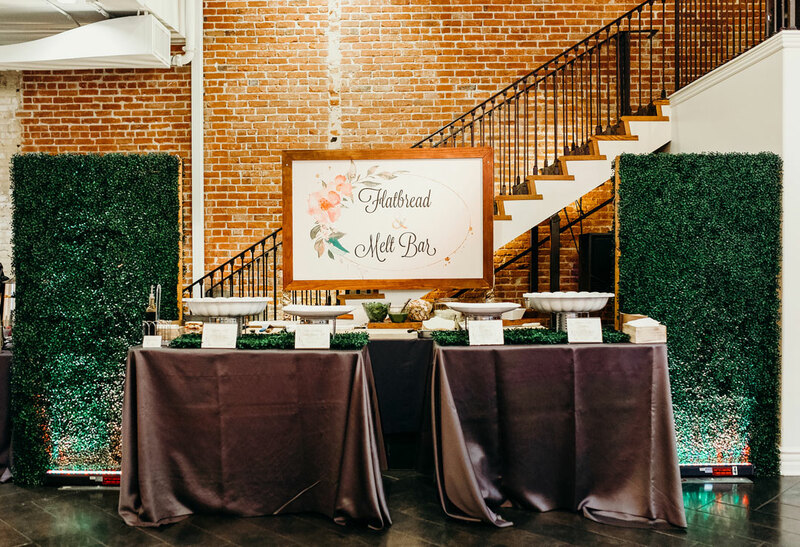 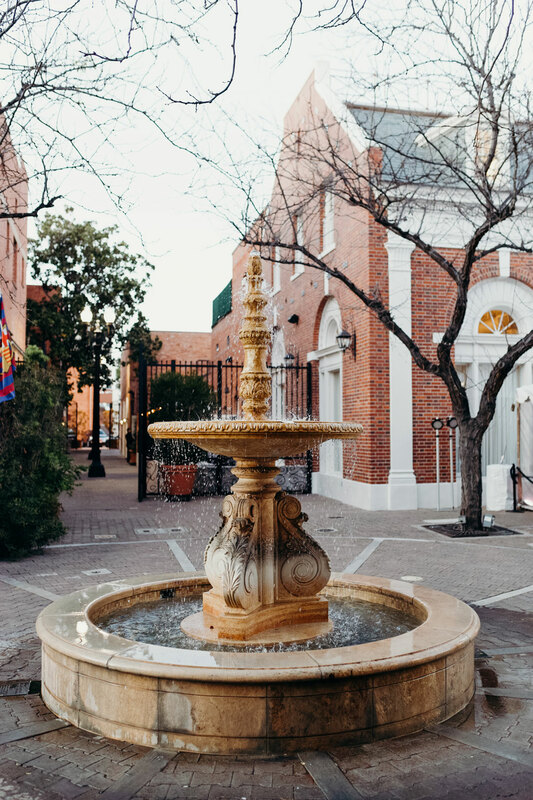 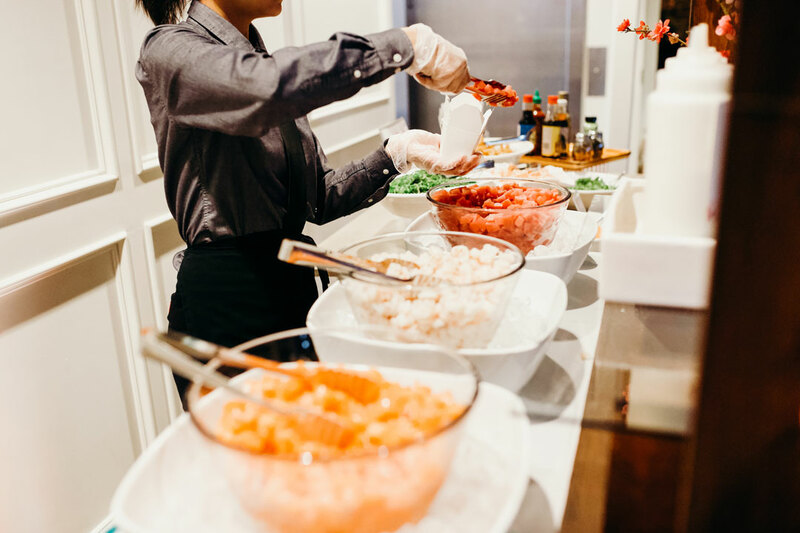 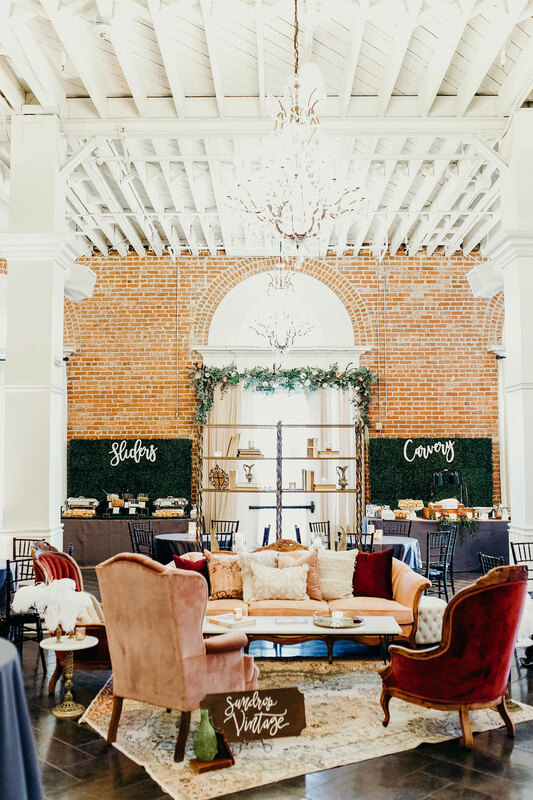 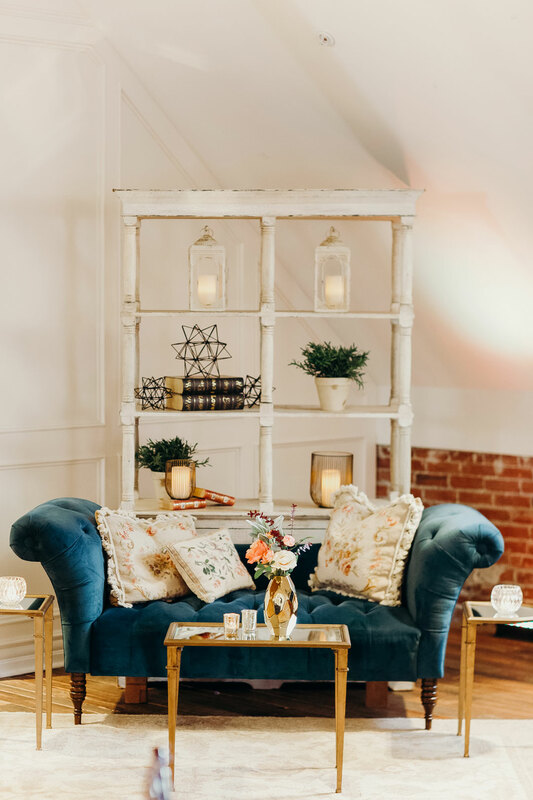 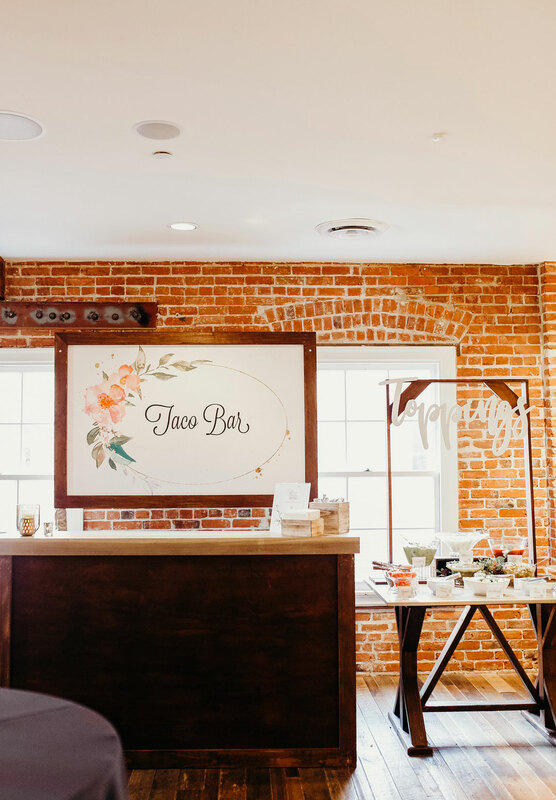 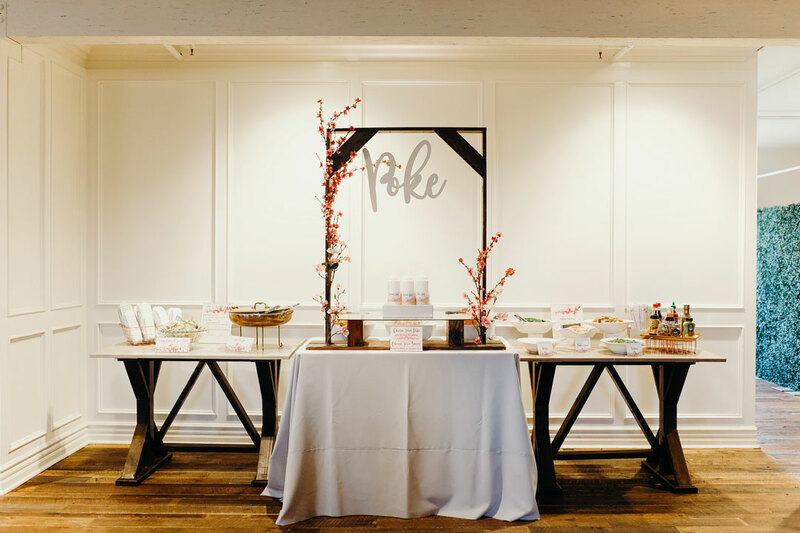 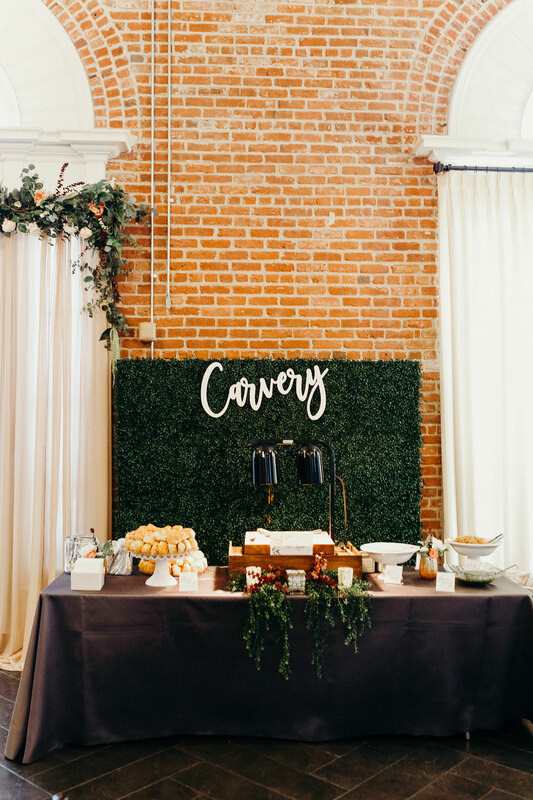 We decorated the space with help from French Buckets and Sundrop Vintage and set up some of our most loved food stations: Pasta, Sliders, Flatbreads, Melts, Carvery, Tacos, Poke and Dessert – can you say YUM?! 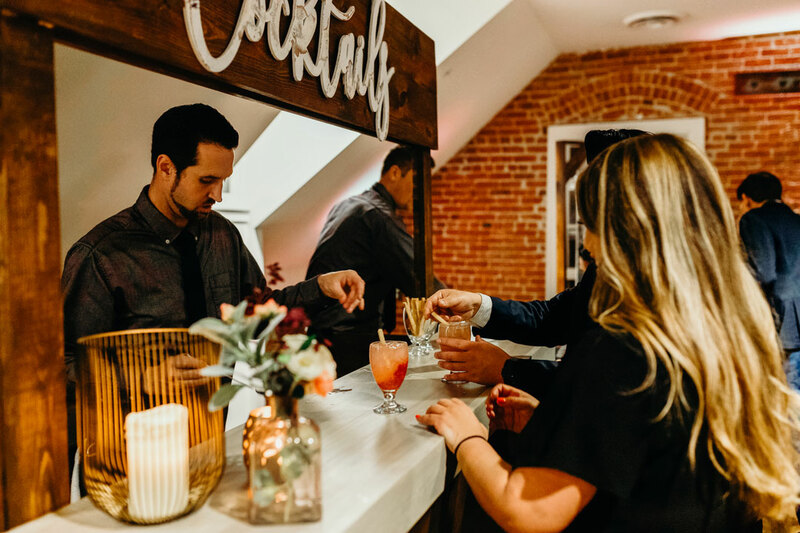 Meaghan Brianne Photo was there to capture the evening from our delectable cuisines to the mixing and mingling of guests. 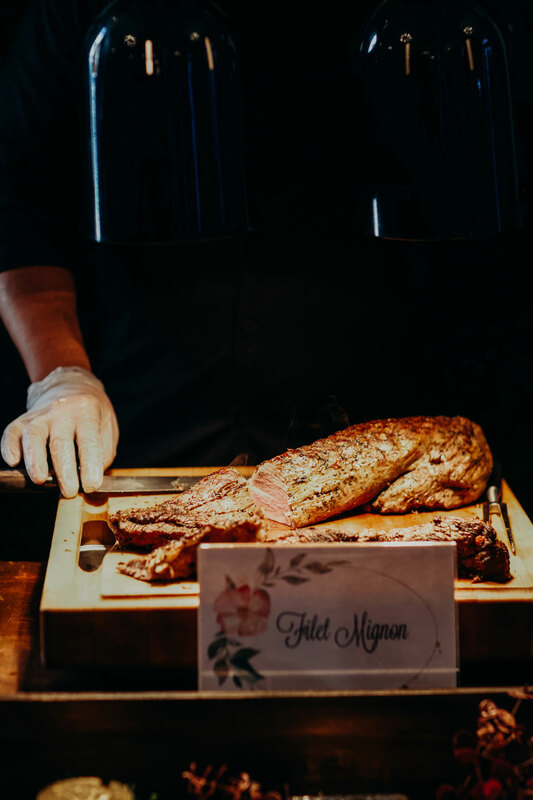 With the delicious scent of freshly cooked food in the air, we opened the doors promptly at 5pm to let our guests inside. 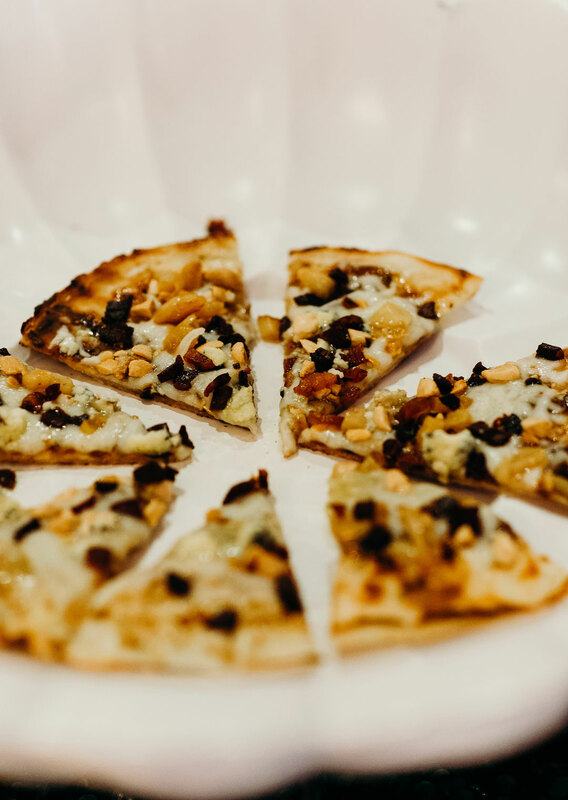 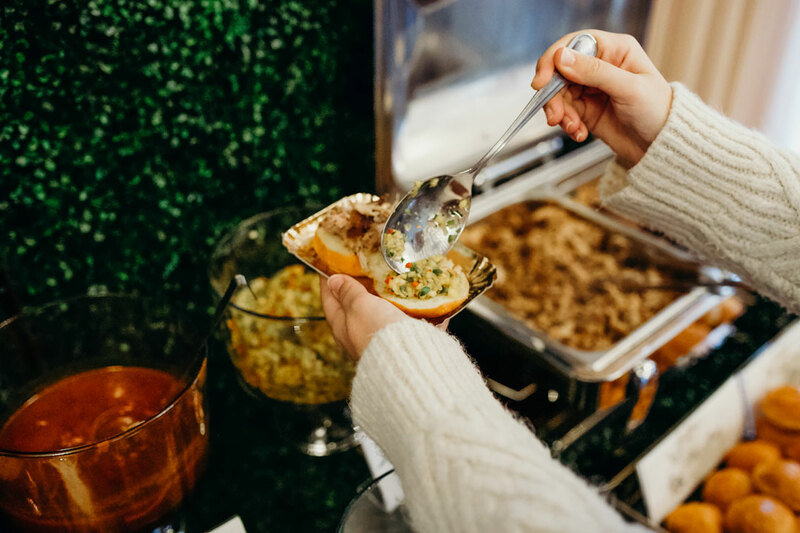 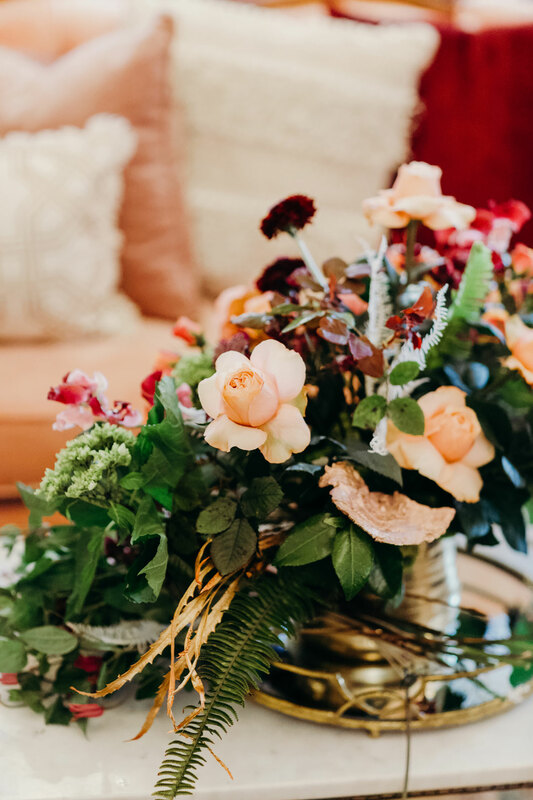 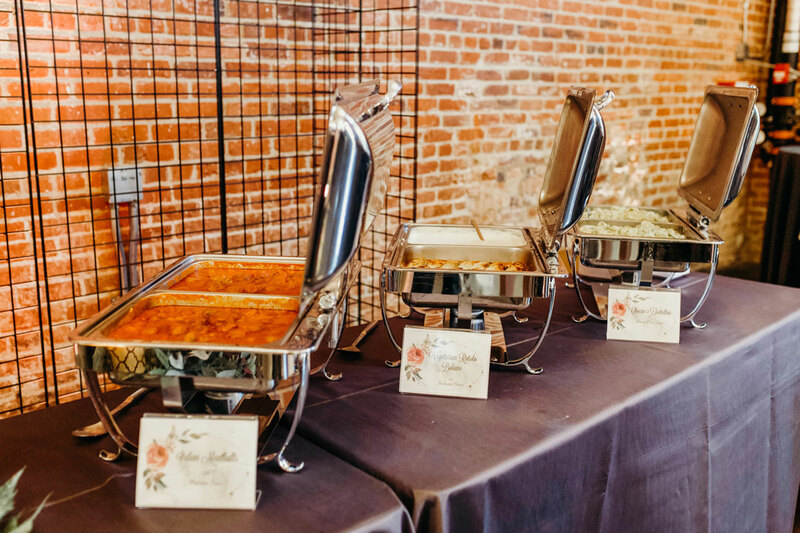 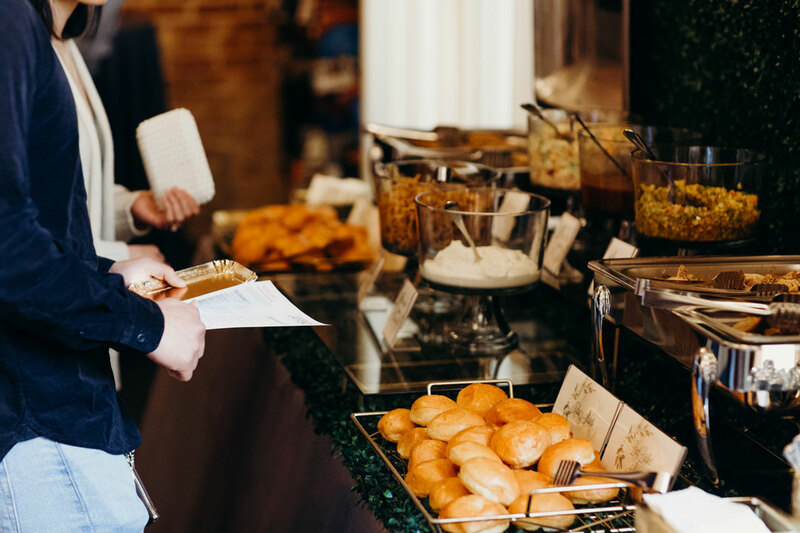 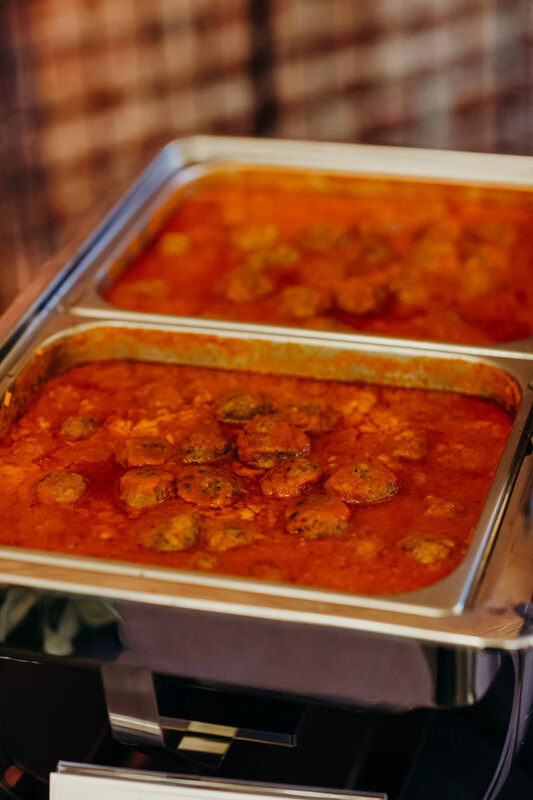 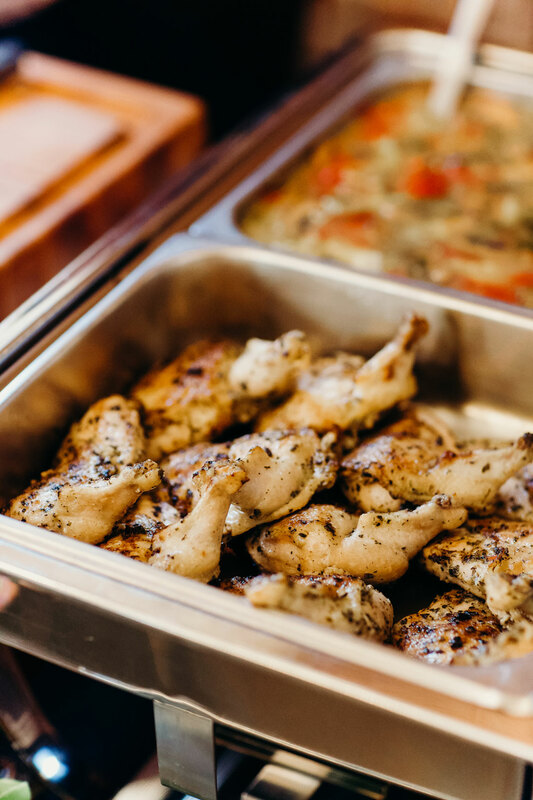 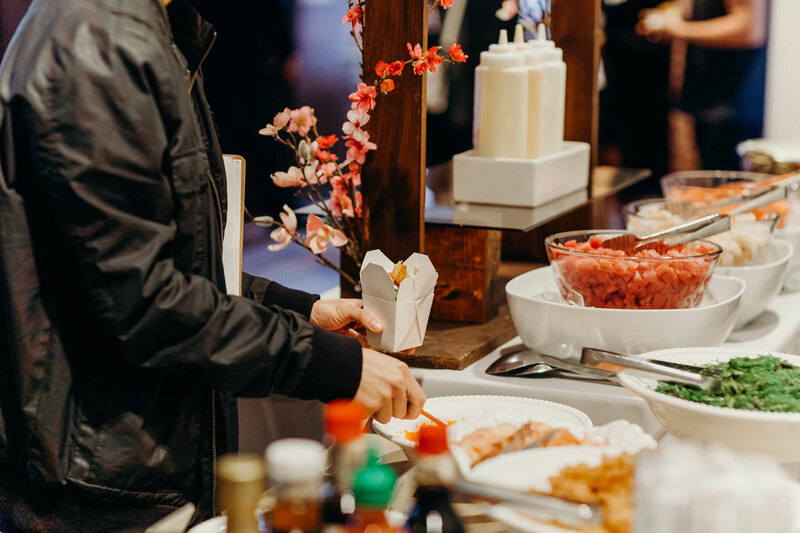 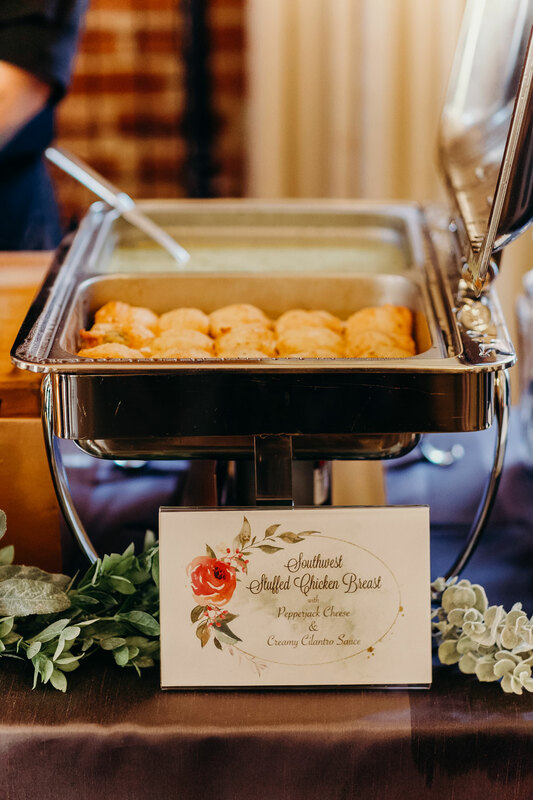 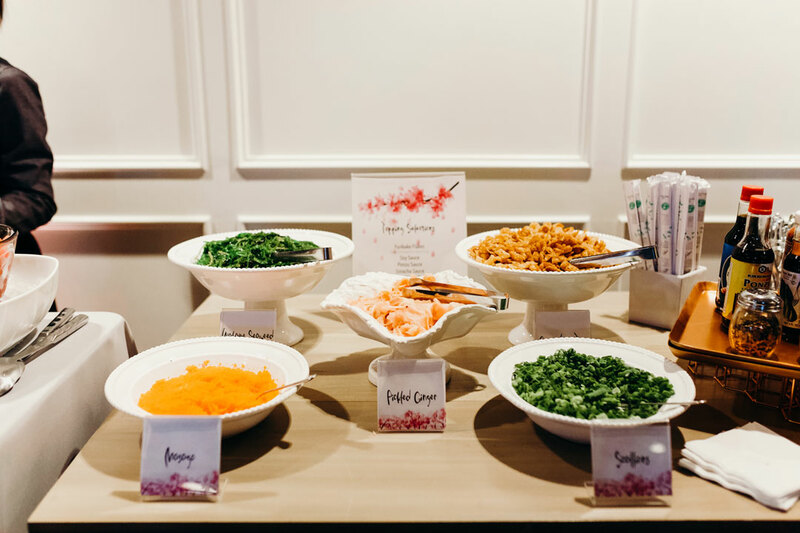 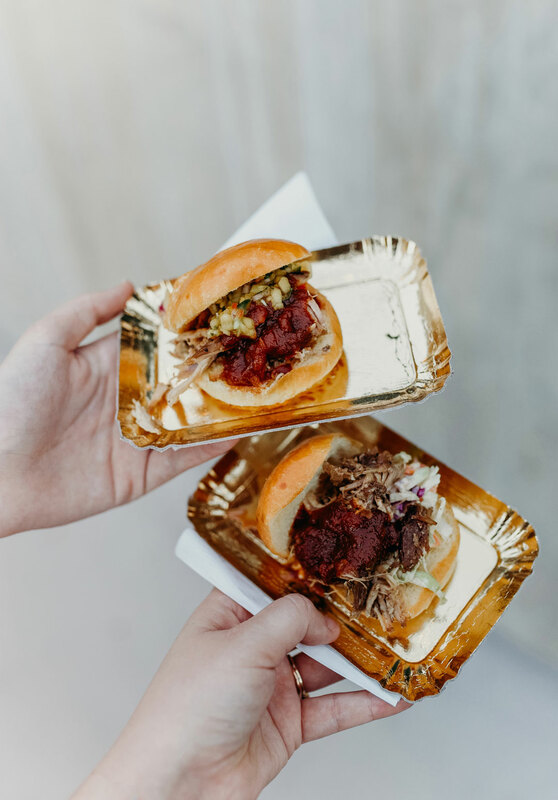 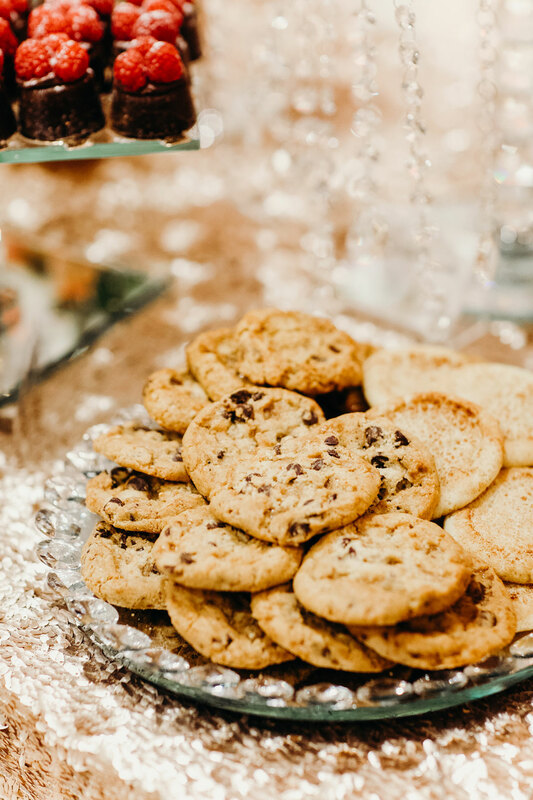 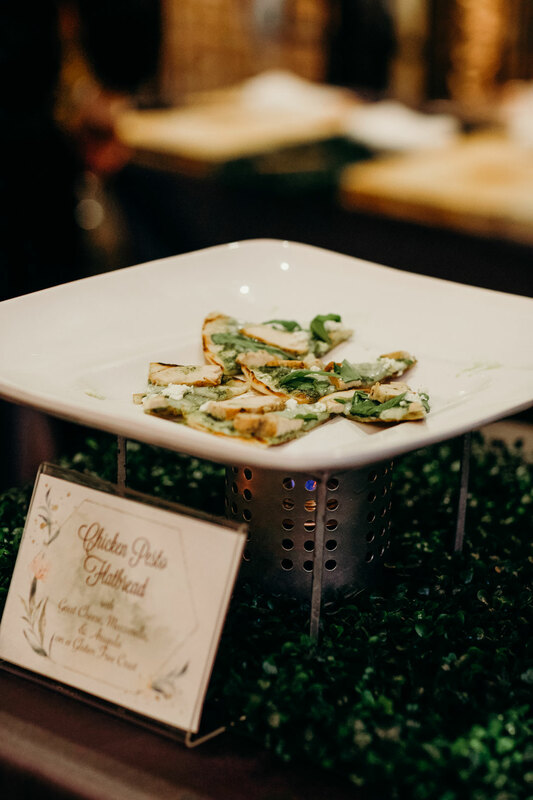 Guests were free to peruse our food stations and taste whatever they’d like to make the decision of what to serve for their special day easier. 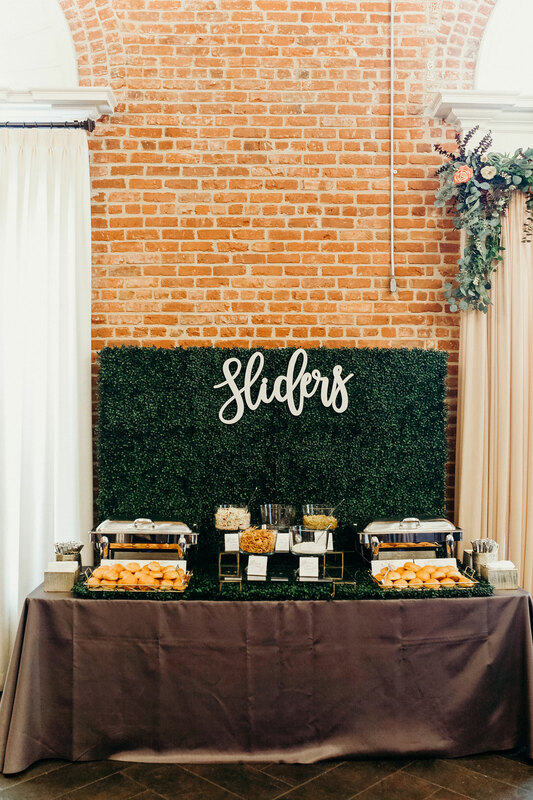 Directly inside were our Slider and Carvery Stations where we were serving up Filet Mignon and Kalua Pork and Brisket for the sliders. 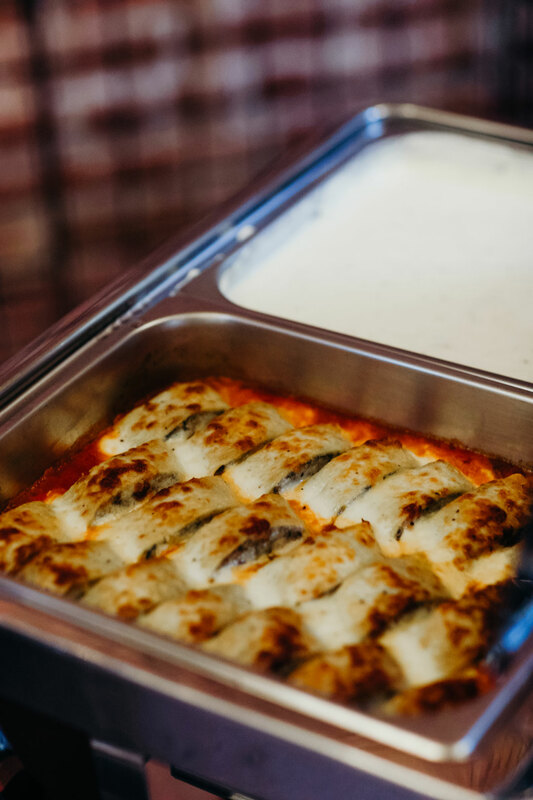 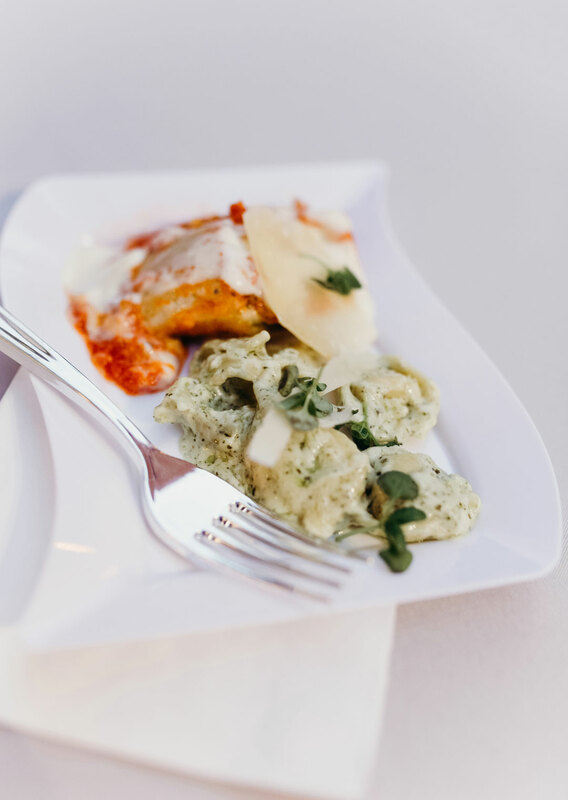 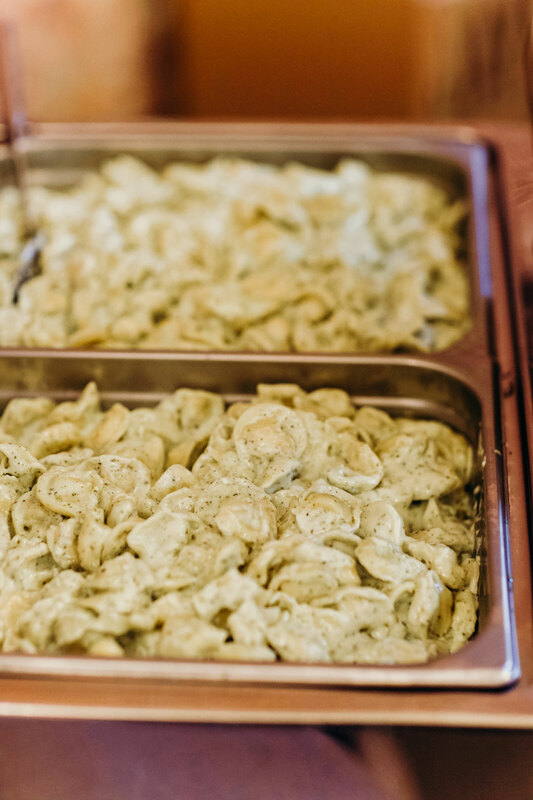 Our Pasta Station is always a crowd pleaser with Vegetarian Rotolo Bolzano, Tortellini with Creamy Pesto and Italian Meatballs. 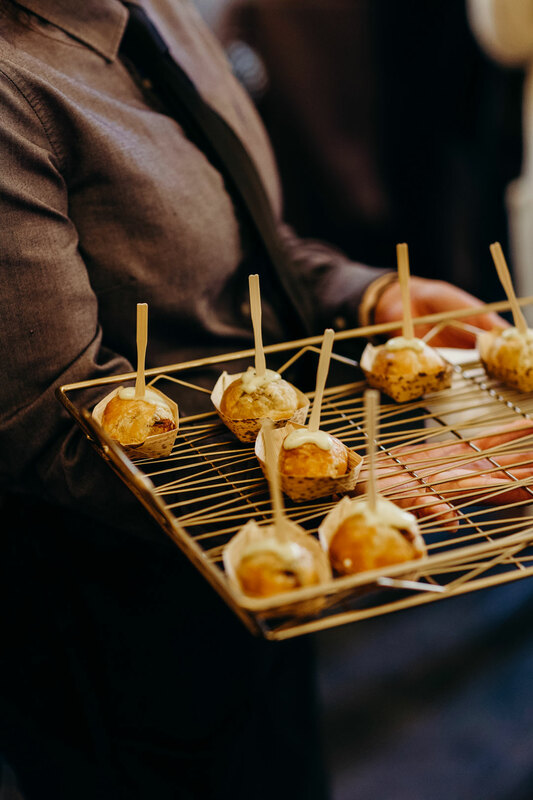 Mini Beef Wellingtons and Crab Cakes were being tray passed and our signature scratch Cocktail Bar had a consistent long line of thirsty guests ready to muddle their own concoctions. 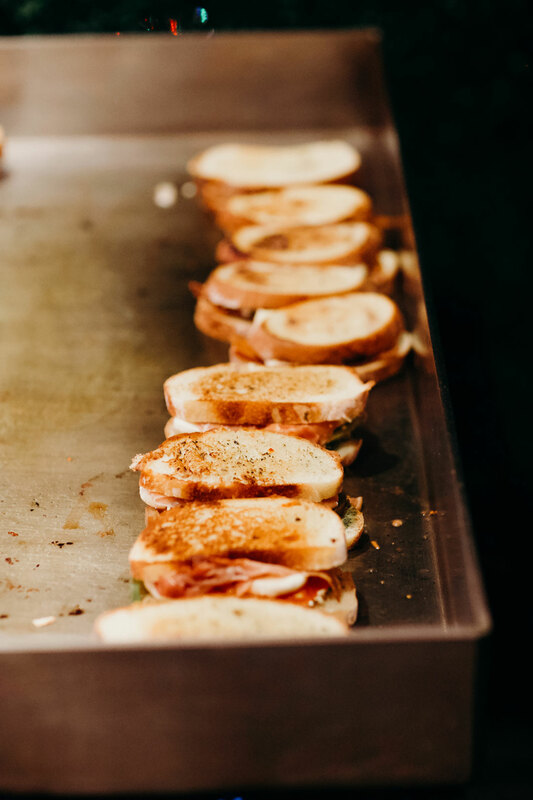 Our Gourmet Melt Bar was dishing out caprese melts and blackberry, jalapeno, bacon and brie melts. 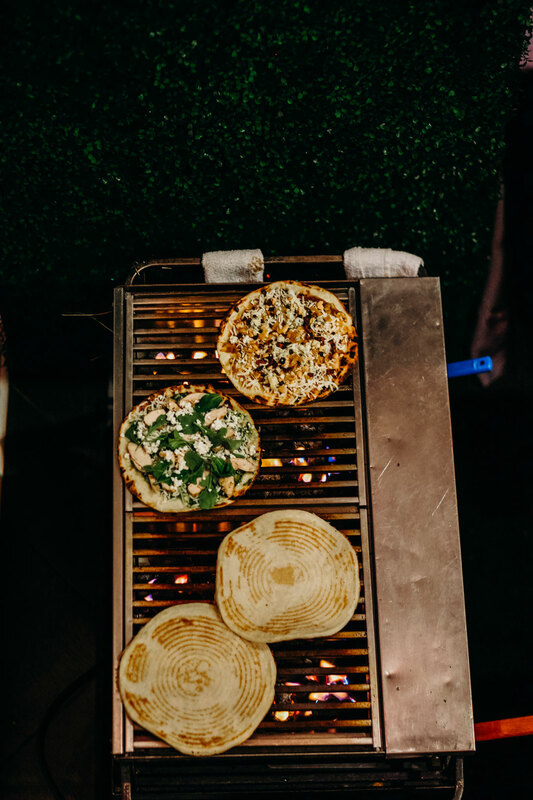 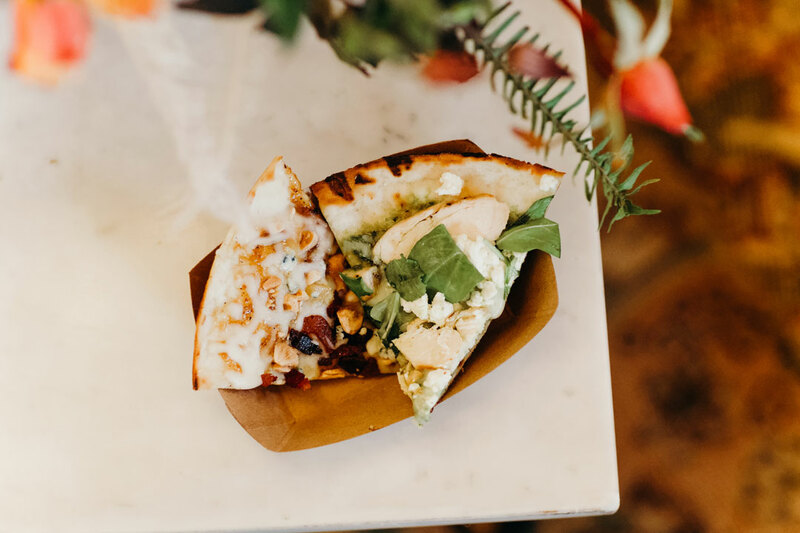 Next-door, the Flatbread Station was busy grilling Grilled Chicken, Goat Cheese, Arugula and Pesto Flatbread and Sweet & Salty Pancetta Flatbread. 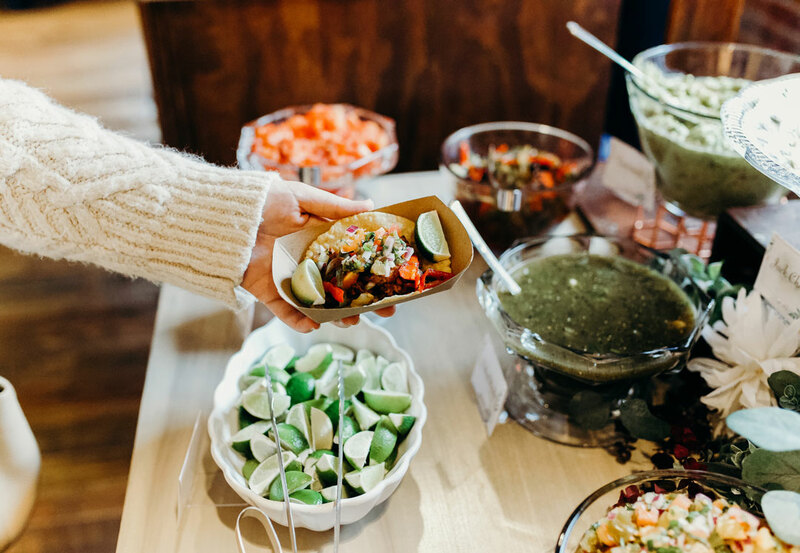 Upstairs, guests filled handmade tortillas with al pastor or pollo asado at our Street Taco Station. 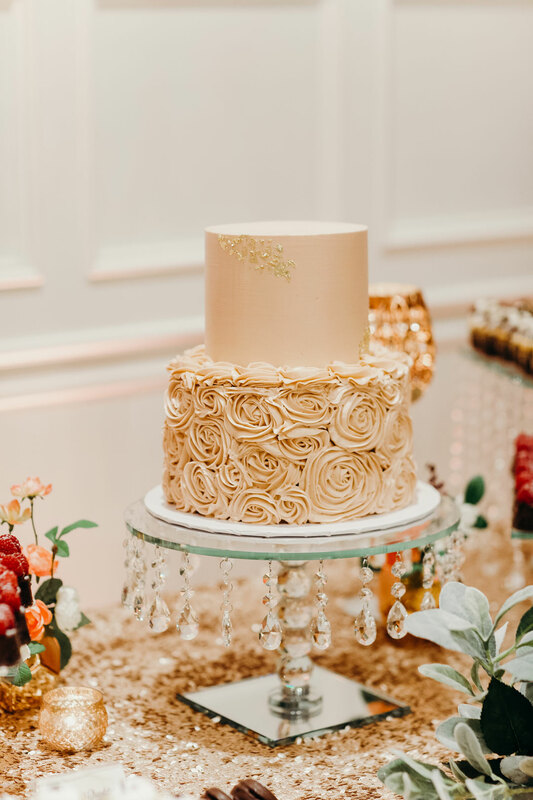 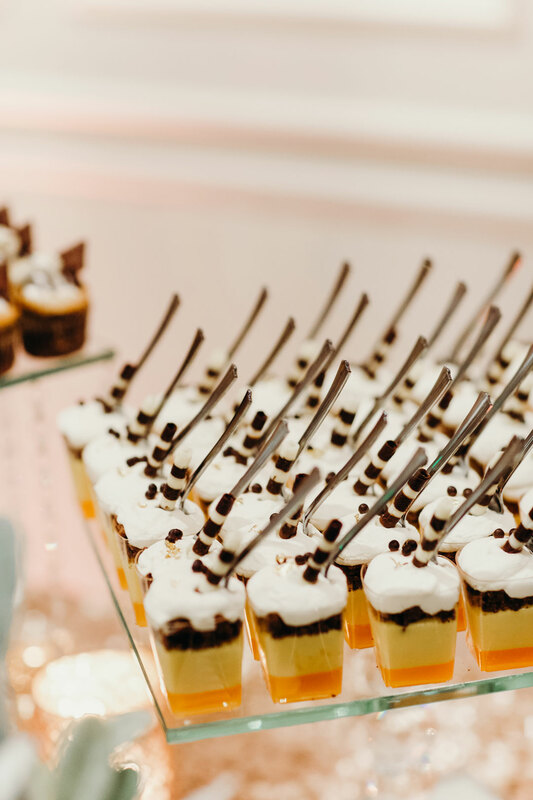 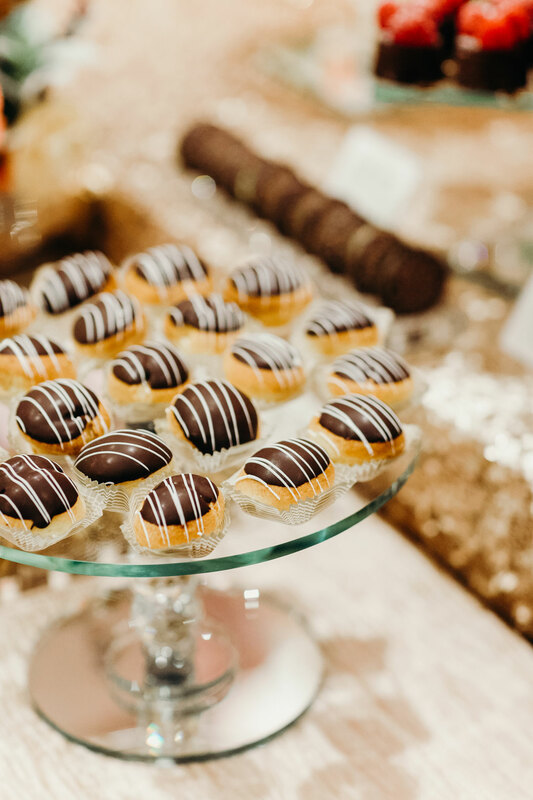 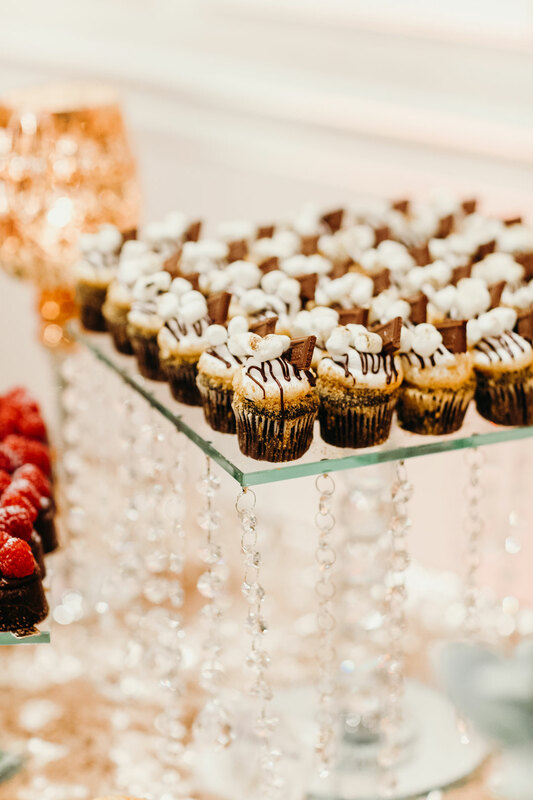 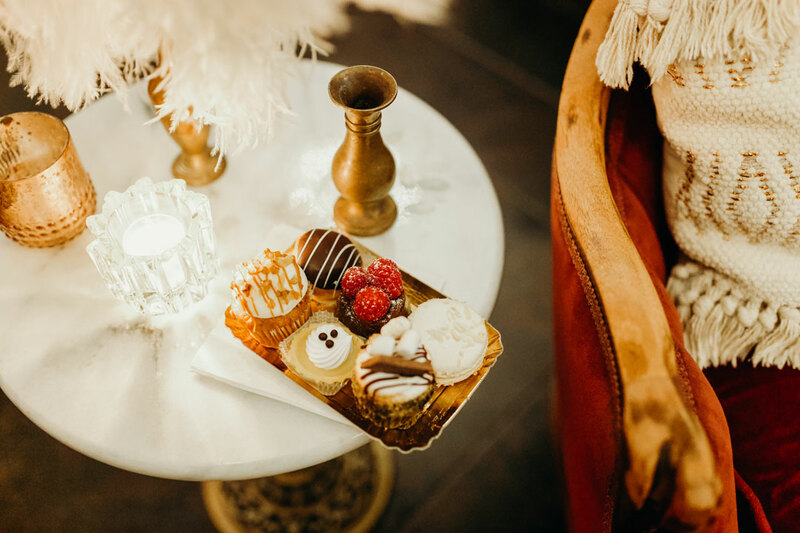 Ending the evening on a sweet note, invitees flocked to our Dessert Station that featured a large assortment of our most desired treats and a beautifully decorated cake. 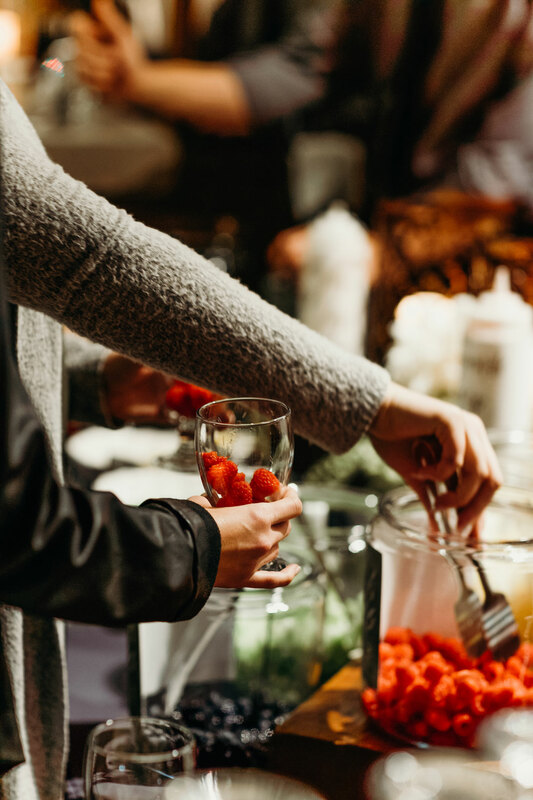 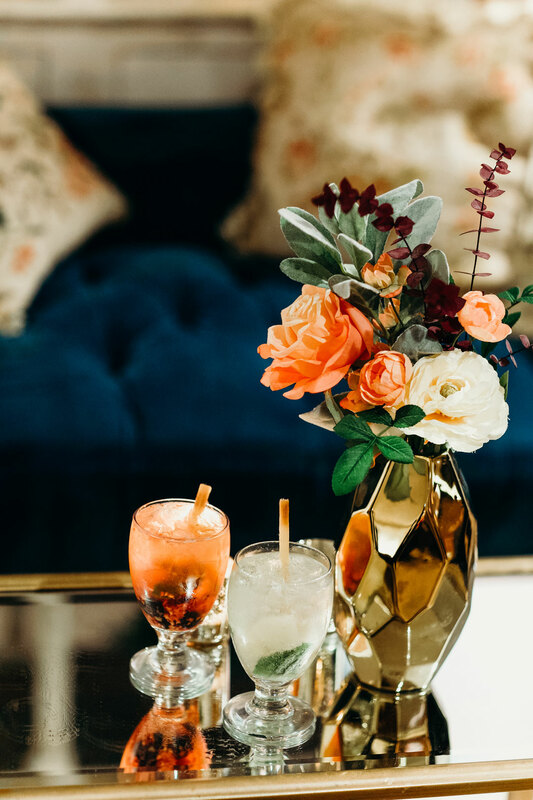 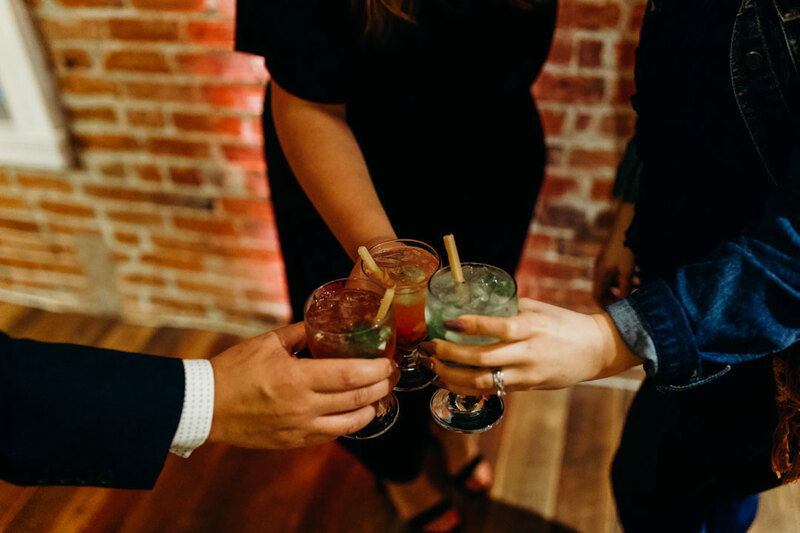 Big thanks to all the vendors who helped bring this tasting to life: French Buckets, Sundrop Vintage, and Meaghan Brianne Photo.